A piece of my mind. : The worlds best couple..
Where theres a will theres a way! 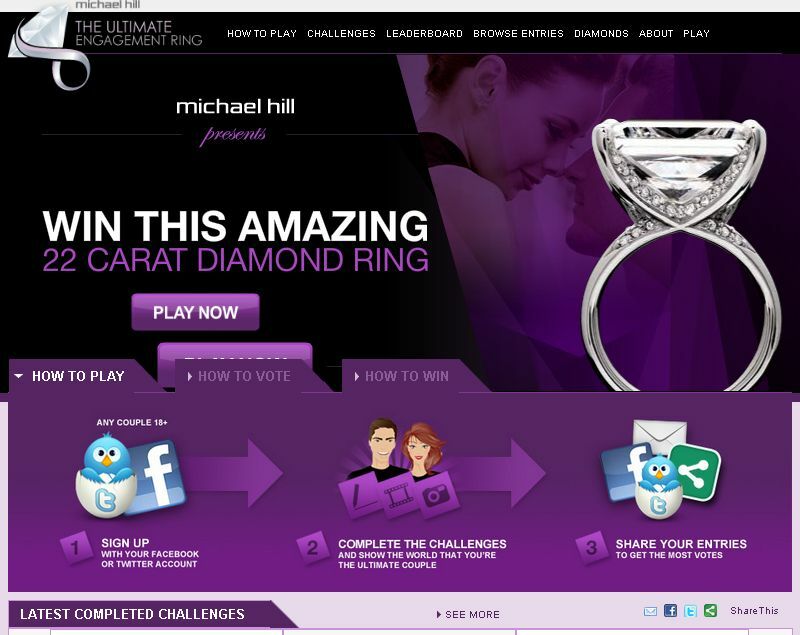 the solution was a social media campaign to discover the 'World's Perfect Couple'. Any couple who deemed themselves worthy to hold onto this title were required to register on the Micheal Hill Facebook or Twitter accounts...that was the easy part..Each couple had to then complete up to 18 different tasks, some were simple (take the best photo of one another) to more challenging ones (impersonate one another). 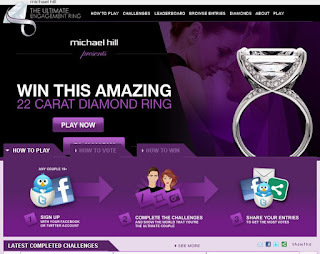 A microsite (my22ct.com) was created to allow voting for the favourite couple where the winners would recieve a Michael Hill 22-carat engagement ring!